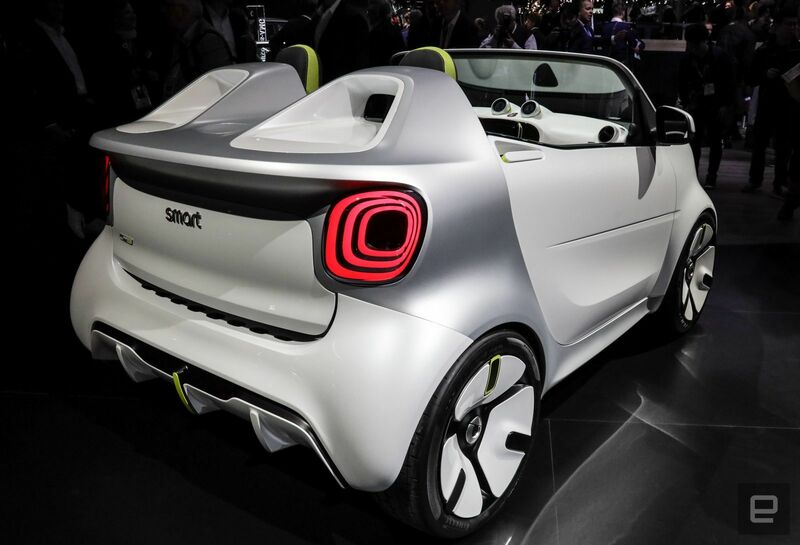 You may have heard and known the tiny 'Smart' car? 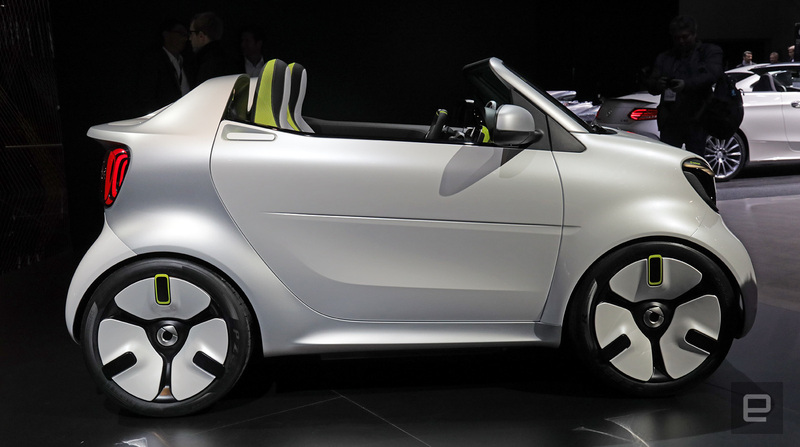 Yup, because it still has potential large-enough market, Mercedes-Benz wants to continue manufacturing the Smart cars. The latest news says that Smart has announced the presence of their newest electric-based called "Smart ForEase" concept car at the Paris Motor Show 2018. 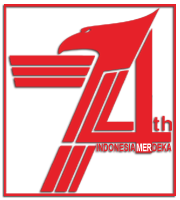 The presence of this car as well as to celebrating its 20th anniversary. The Forease is a two-seat roadster made to pays tribute to other "pioneer" concepts such as Crossblade 2001 and Forspeed 2011. These tiny car has a slogan 'Fully-Fungctioning ForEase open-top Concept,' is indeed still small like its predecessor. 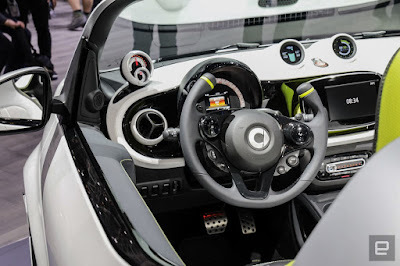 It claimed to be "very open" and "reduced to leaving an important part," the Forease concept is based on EQ Fortwo Cabrio and is equipped with a low windshield and low door handle. 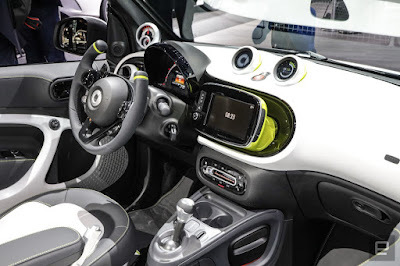 This model also has a metallic white body that contrasts with green accents and a matte silver Tridion security cell. This electric-powered tiny car is claimed to be a suitable vehicle for driving in the city. 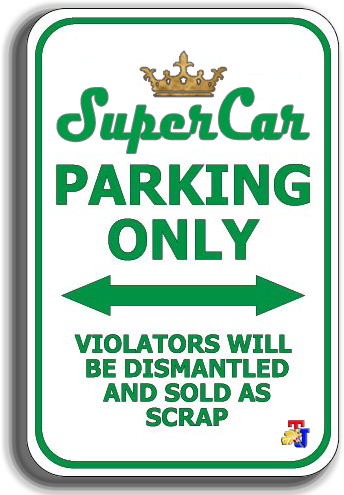 In addition, different designs try to be given this tiny urban car, as in the spoiler design display. This concept is said to have a hot rod-style design with tiny versions and electricity. 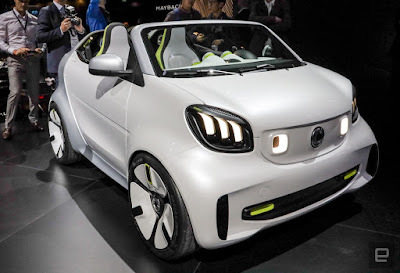 Judging from other designs, the Smart ForEase will be equipped with LED headlights, besides running lights will also be inserted in the grill. Likewise, the tail lamp display with 3-dimensional effects also be given. The unique design continued in the cabin, where the driver is greeted by a unique-shaped steering wheel and the seat cover wrapped in two-tone color with green accents. This multi-color theme is also seen on the white dashboard with a black panel underneath. While elsewhere on the cabin, this concept has a stainless steel pedal and a green honeycombs accent in the AC ventilation holes. Speaking of the latter, those 2 AC holes have been replaced by digital displays that can be used to display information from the "ready to" Smart application. If it's truly produced, the Smart ForEase will be marketed in Europe, the United States, Canada, Norway. 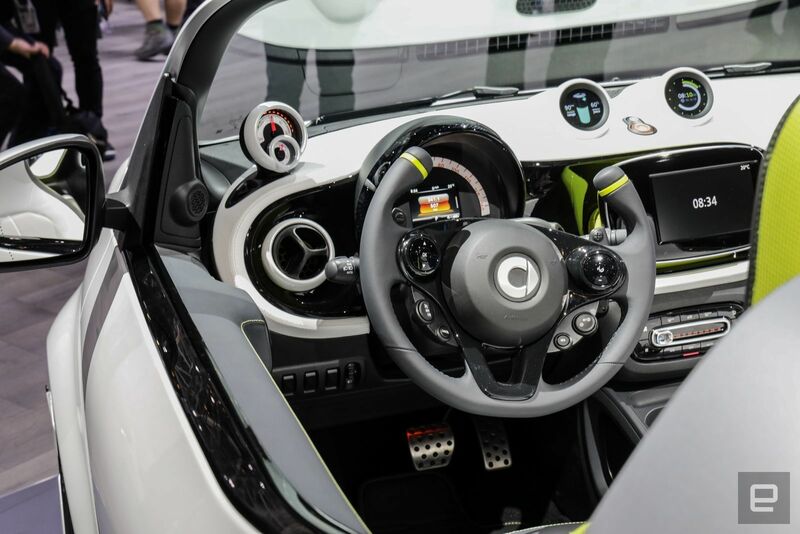 Most likely the ForEase will use the same electric motor as the ForTwo Cabriolet EQ, which can produce 80 hp of power with a 17.6 kWh lithium-ion battery. 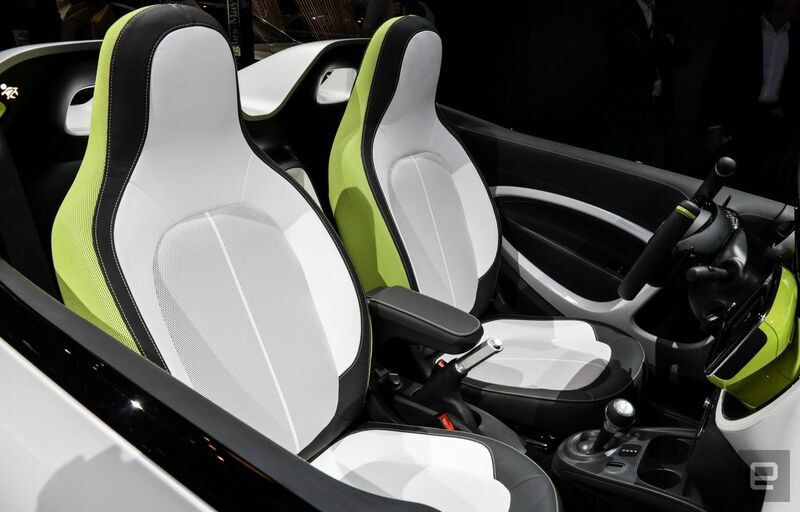 According to the upcoming Smart CEO, Katrin Adt, "Smart Forease embodies a simple, refreshing form of fun driving in the city, standing for uncompromising urban electricity mobility."